The Withymead Stud of Welsh Section A ponies was established in 2004 with the purchase of Mynyddtarren Georgia who has been the most brilliant foundation mare. She arrived with a stunning colt foal at foot, Mynyddtarren the Marksman and continues to produce outstanding foals for me. 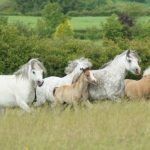 Pony numbers have increased slowly with the emphasis on quality and temperament. Most of my young brood mares have been winners both in hand and ridden at top level. 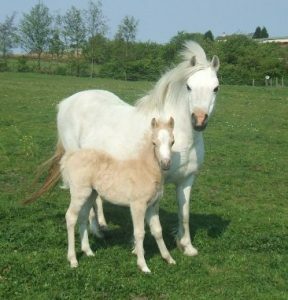 My aim is to breed performance ponies that will be successful in the show ring and loved and enjoyed out of the ring by both children and adults. Temperament, quality, movement and performance are of paramount importance in my choice of both stallions and mares. Tom Nook Farm is a hill farm situated in the foothills of the Pennines with land running up to 1000ft above sea level. The ponies share the fields with sheep and Dexter cows.